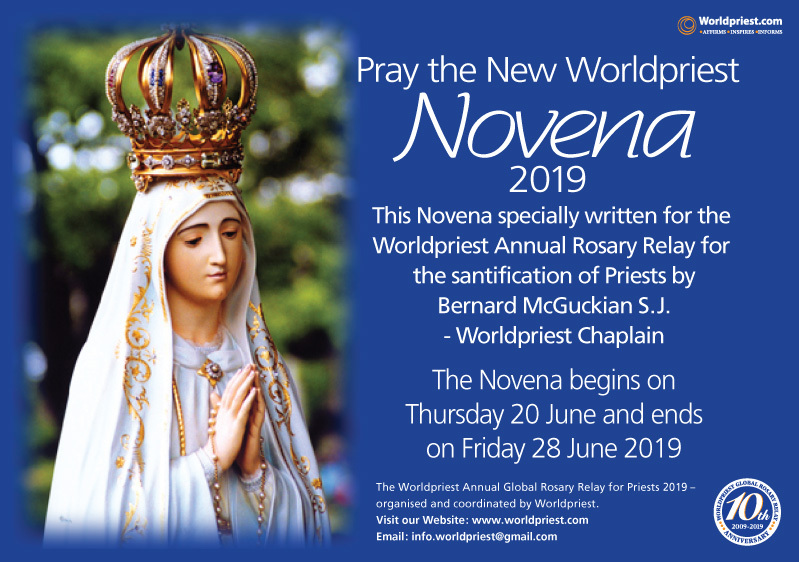 Friday 8 June is now visible on the horizon and it’s all systems go at Worldpriest, working with our coordinators worldwide as we prepare to have the entire world praying the rosary again for one purpose – to pray for the sanctification of all the priests who minister to millions of Catholics around the world. This year we believe we will exceed the incredible 10,000,000 participants who joined us in 2017 as we bring huge numbers of people from all cultural backgrounds together again to offer their prayers worldwide from a number of new prayer locations in various corner of the world. The Gruta de Lourdes Shrine was inaugurated on January 6th (Epiphany day) 1925. It was a gift of a married couple, Angel Rivero and Manuela Boneta Babel, who had received a special grace in their 1922 visit to the French shrine of Lourdes. The original chapel was designed by one of the first Puerto Rican architects, Francisco Roldán, with Spanish Moorish decorative elements. In 1926 the couple erected the Grotto itself. 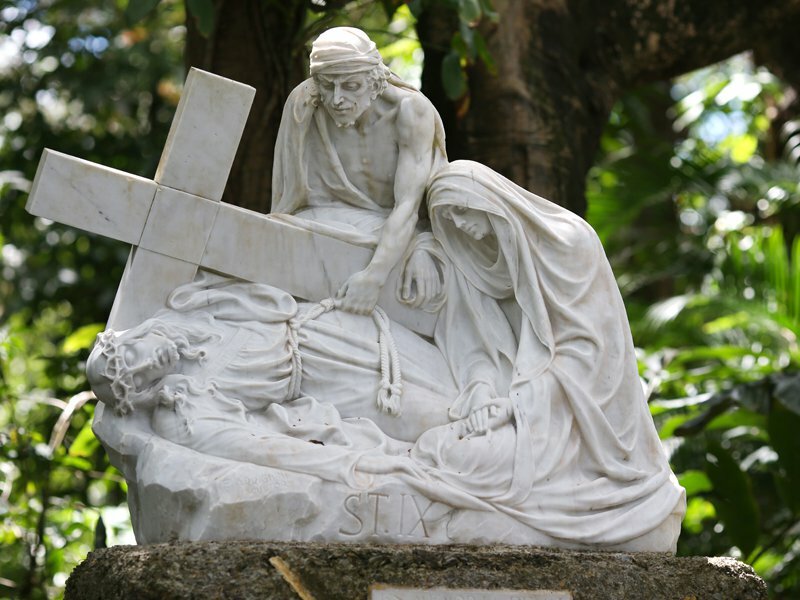 On the feast day of the Sacred Heart in 1928 the monumental Carrara marble Via Crucis, made by the well-known Italian sculptor Enrico Arrighini was blessed. It still stands where the 14 life-sized statues were erected. 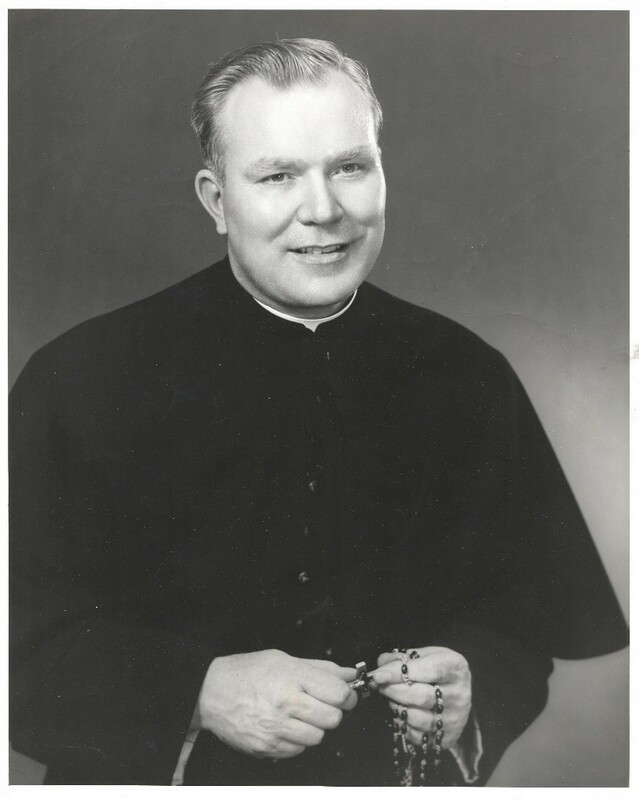 Worldpriest founder was blessed by Venerable Patrick Peyton. When Worldpriest founder Marion Mulhall was only two days old she was blessed by Father Patrick Peyton, who just happened to visit the nursing home in Enniscorthy, County Wexford, Ireland, where Marion was born. Father Peyton was holding a Rosary Rally at Our Lady’s Island in County Wexford during those days which Marion’s dear late father attended. 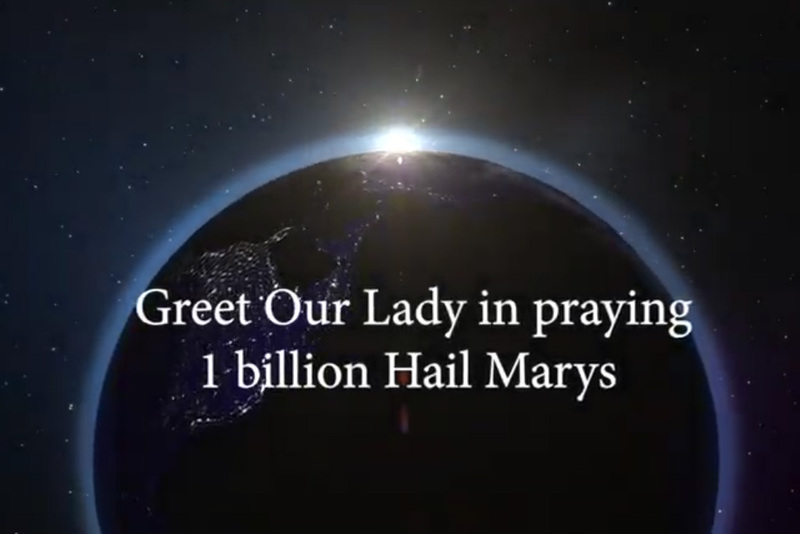 This is something very special and of great providential importance to Marion, who has been the driving force behind the Annual Global Rosary Relay, which last year saw in the region of ten million people around the world join in praying the Rosary during a twenty-four hour period of special prayers for our priests. 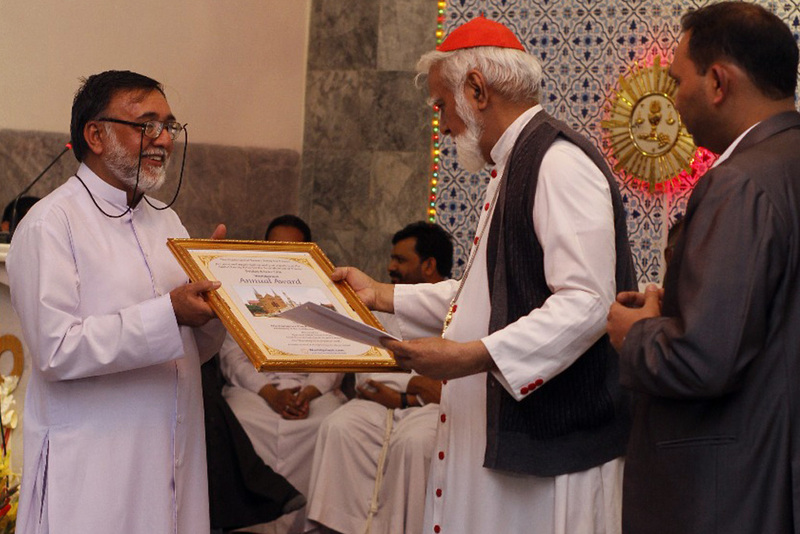 The event took place at 168 single church locations in sixty-eight countries. On 3 June 2016, the twenty-fourth anniversary of Father Peyton’s death, Marion was overwhelmed with joy to meet Pope Francis in Rome. That same day was also the day when the Annual Global Rosary Relay Day of prayer took place. So that was a day that became a great gift of grace . . . when three wonderful events came together. 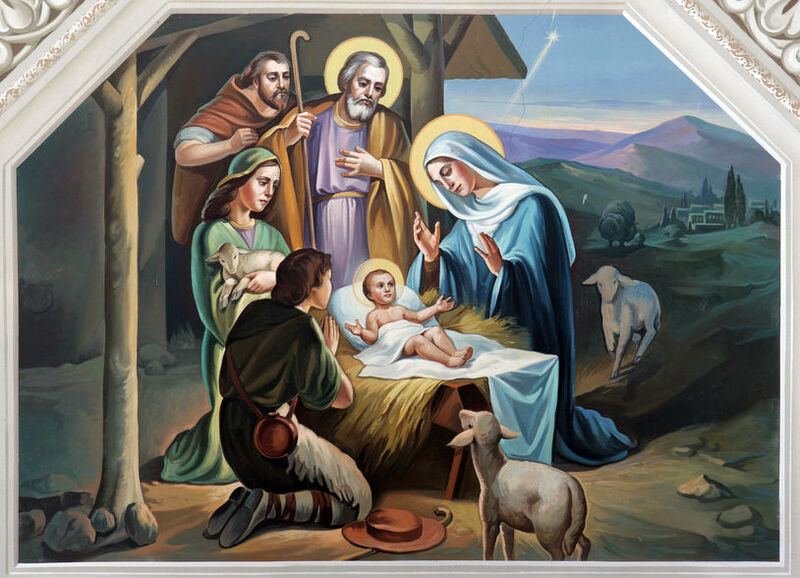 As the time to celebrate the Holy Family and the birth of Jesus draws nearer we would like to wish all our many supporters, their friends and their families around the world a truly happy and peaceful Christmas season. Sweden was once a Catholic country. 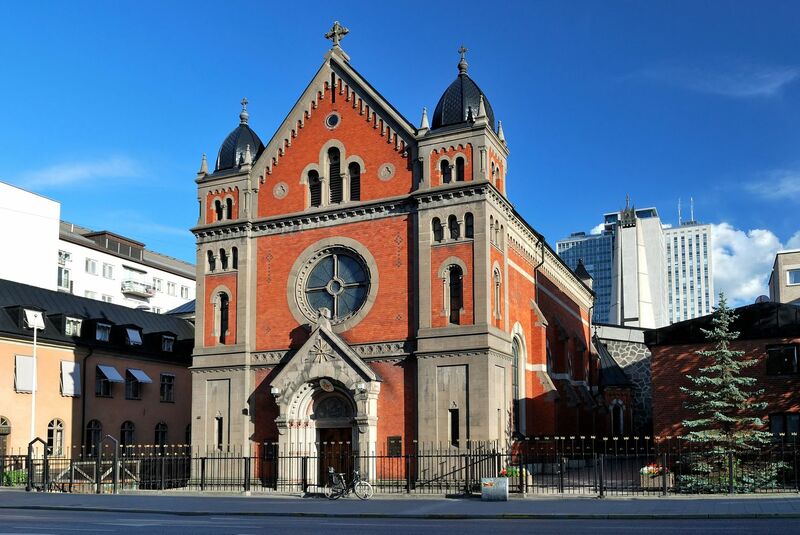 Due to influences from religious orders such as the Cistercians, Franciscans, Dominicans and even some Carthusian convents, Sweden became a truly Catholic provenance during the fourteenth and fifteenth centuries. 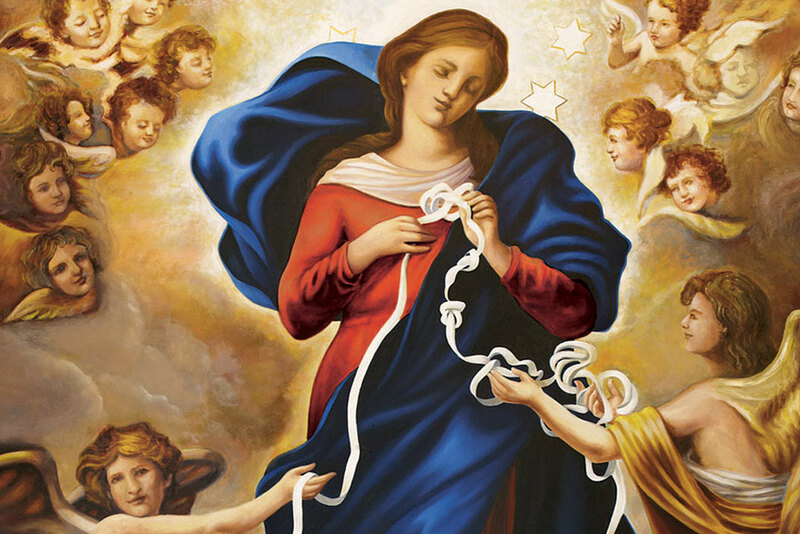 We had even our own founder of an order, Saint Bridget, patron of Europe. Following on from Saint John Paul’s original invitation to Catholics to pray the Mysteries of Light or Luminous Mysteries of the Rosary on Thursdays, communities from every continent have been contemplating the public life of Jesus Christ, but with the launch of Rosary Thursday the lay faithful may additionally offer their prayers for the sanctification of priests around the world, which is the Worldpriest Annual Global Rosary Relay prayer intention. 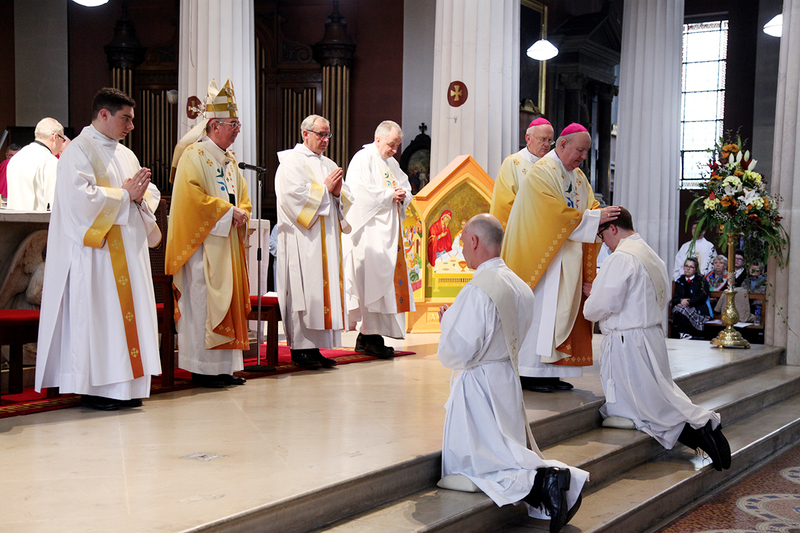 Archdiocese of Dublin is gifted with two newly ordained priests. On 14 November 2017, the feast of Saint Laurence O’Toole, Principal Patron of the Dublin Diocese,two young men – Bill O’Shaughnessy and James Daly – were raised to the priesthood in Dublin’s St Mary’s Pro-Cathedral. 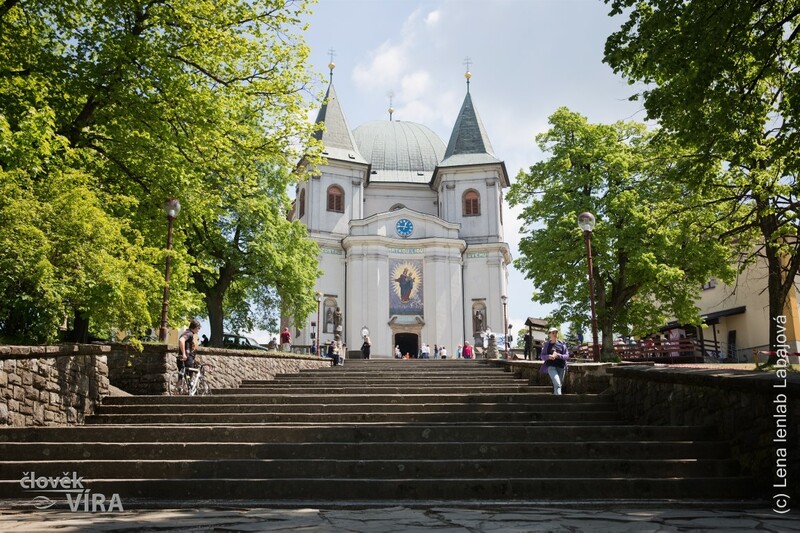 There are several reasons why Svatý Hostýn is the favourite place of pilgrimage in the Czech Republic. The beautiful hilltop location that makes it one of the country’s highest situated shrines may be only one of them. 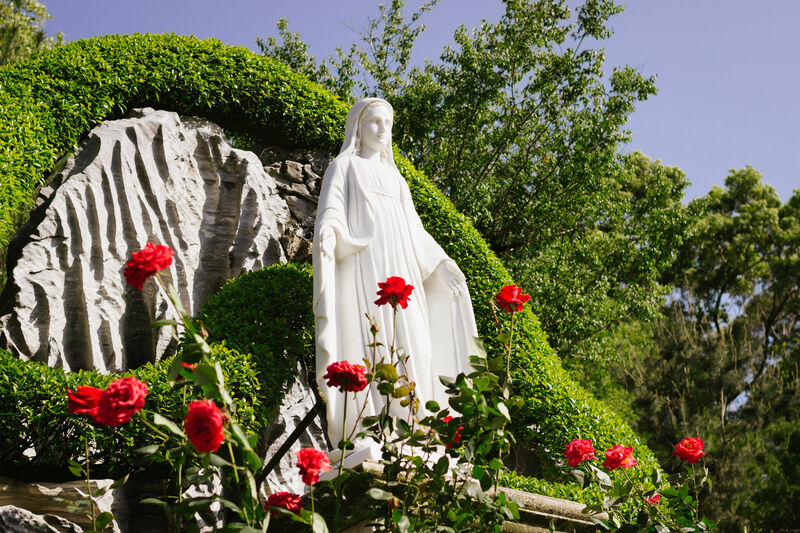 The mountain, rising up almost 400 metres above the surrounding landscape, has been an impressive reminder of the maternal care of Our Lady for many centuries. 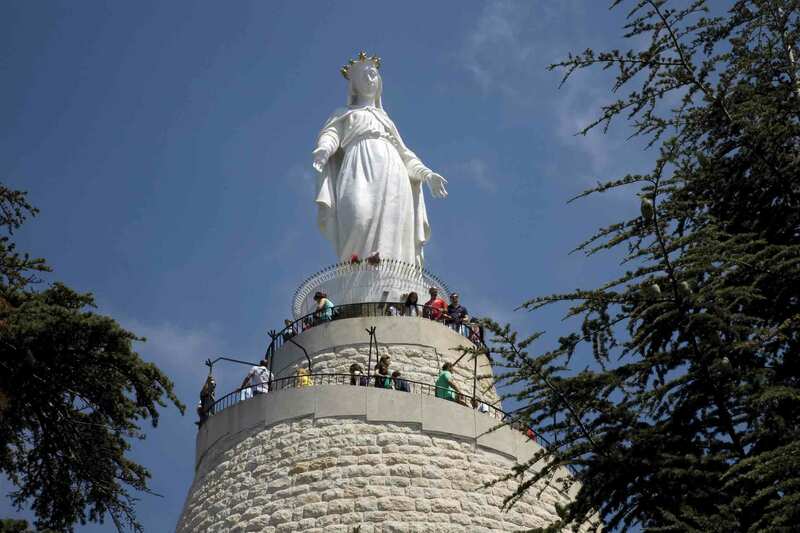 1) The Site’s Location: At a distance of 26 kilometres from the capital, Beirut, Mount Harissa overlooks the Bay of Jounieh, where a small church was built. Above the church a statue of the Virgin Mary was placed. It is eight-and-half metres long and about five-and-a half metres wide, weighing fifteen tons. It was cast in bronze in France. The inauguration of the statue took place on 3 May 1908. A presentation was held at the Cathedral Basilica of Our Lady of Peace, Honolulu, Hawaii on 21 September to mark Hawaii’s winning of the Worldpriest Annual Award for their outstanding participation in the Annual Rosary Relay for Priests 2017. ‘As we celebrate this feast day of St. Matthew, one of the most unlikely apostles of the Lord, we are grateful to the Worldpriest Apostolate for honouring the priests and people of the Diocese of Honolulu. 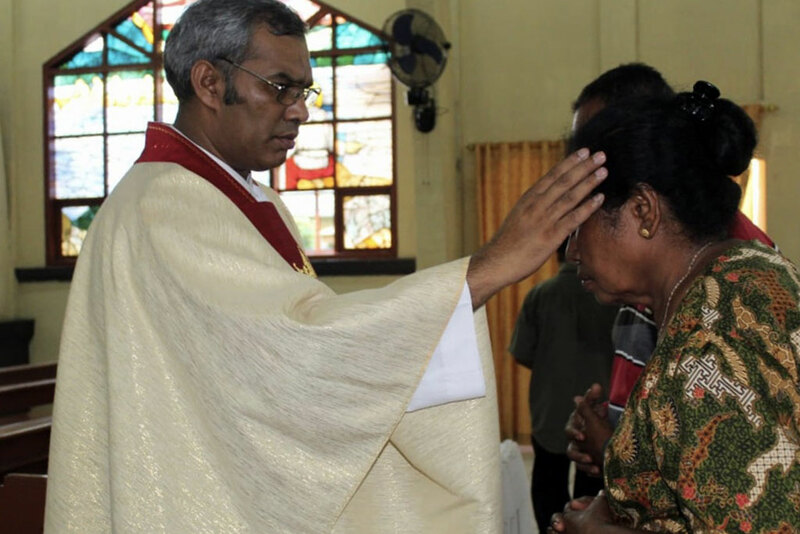 Although our priests are not perfect men, they are such a blessing to all of us, and I thank God for the wonderful priests who give themselves so lovingly and joyfully to the service of the people of our diocese. 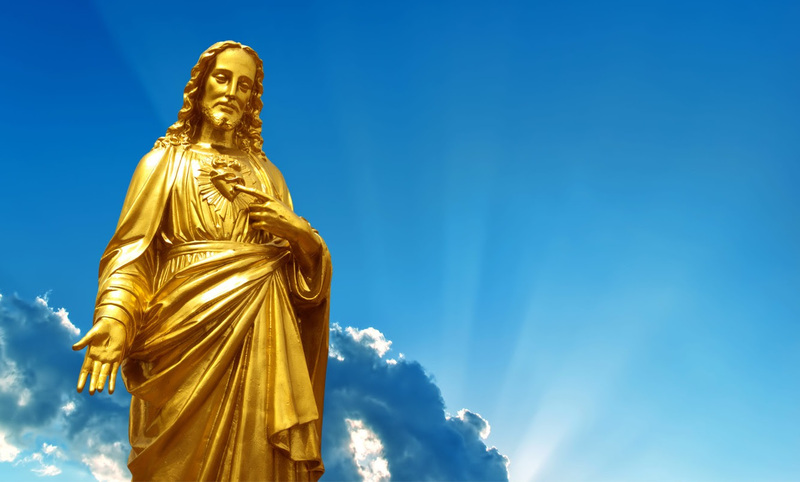 We are also grateful to all who support them with their prayers and their love and who serve the Lord alongside them so that we may all give faithful witness to Jesus’. 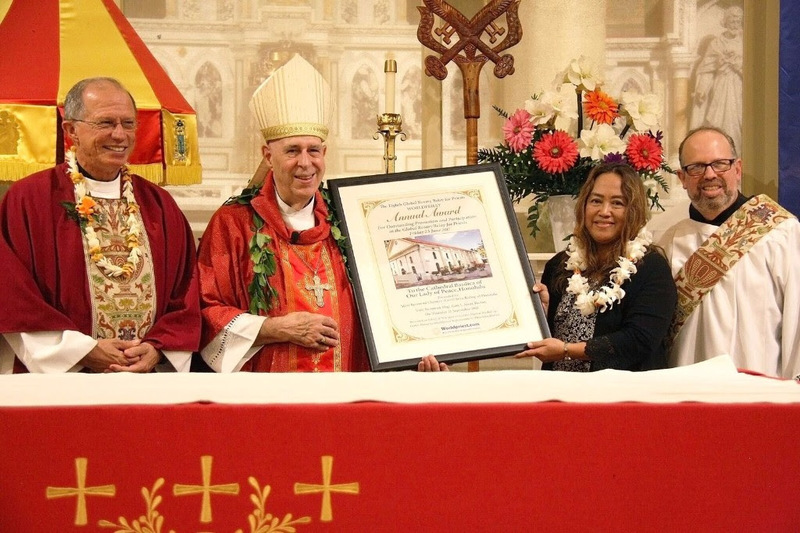 In an article in the Hawaii Catholic Herald Patrick Downes paid tribute to Easter Almuena, administrative assistant for the Diocesan Office of Worship and Hawaii’s Worldpriest representative, who organised the presentation. 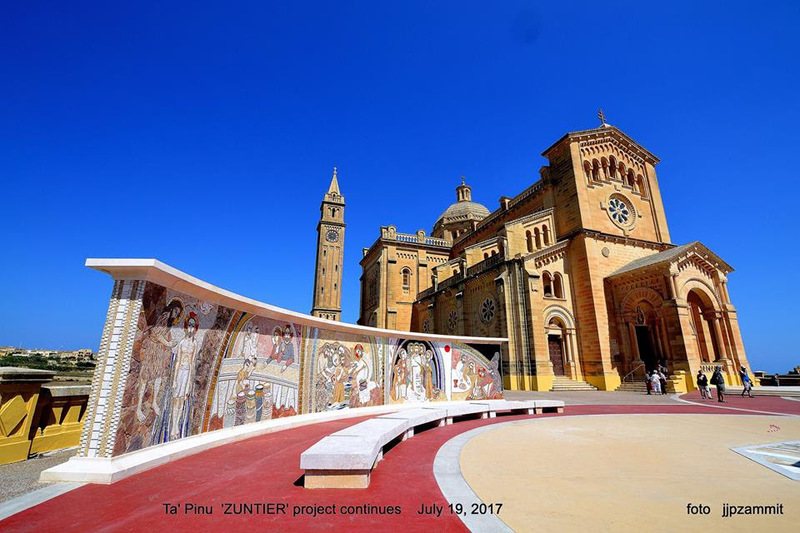 *The wonderful mosaics of the sanctuary Parvis outside the Shrine of the Blessed Virgin Mary of Ta’ Pinu. There are many devotional shrines dedicated to Our Lady in diverse locations around the globe. The stories of some are very well known and they attract thousands of pilgrims and widespread publicity every year. Others are not so familiar, but they are still regarded as legitimate places of pilgrimage, providing great peace and personal enrichment, as well as opportunities for reflection and deep contemplation within their local communities. By clicking on to the https://www.worldpriest.com/news/ every month you can read about a different shrine from around the world – its background, location and religious associations. By sharing our knowledge of these special places we can explore beyond borders as we give great glory to Our Lady in thanksgiving for her motherly intercession and care which surpasses all earthly love. The first in this series is the Shrine of the Blessed Virgin Mary of Ta’ Pinu – Gozo, Malta, which has been a place of veneration since 1545, when it was reported to have been rebuilt. This important shrine was visited by two popes — by St Pope John Paul II on 26 May 1900 and on 18 April 2010 by Pope Benedict XVI. Make a resolution to daily pray for all priests. Without priests there can be no Eucharist and without the Eucharist there can be Church. Who is there to listen to those of us who have nobody to talk to? To whom do we turn to when the world has turned its back on us? Day and night, priests are called to listen at times of joy but also at times of great pain. 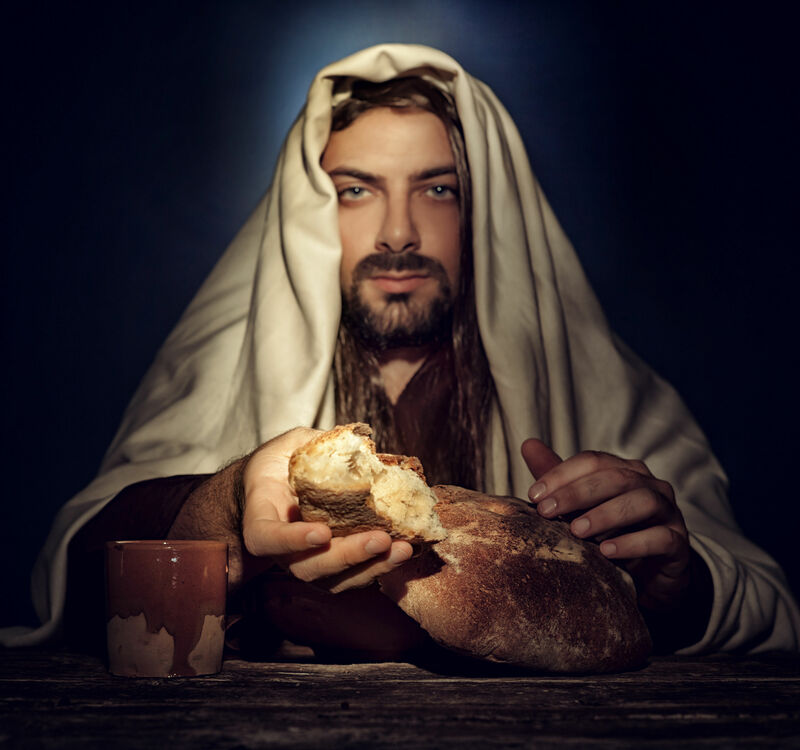 The sick, the marginalised, the lonely and the outcast turn to priests to be heard and it is through his priests that Christ is present among his people. Their work is largely unrecognised and their contribution to society is often overlooked. They ask for no reward beyond doing God’s work. Today be a prayer friend to a priest in thanksgiving for his priesthood as you reflect and pray for him. On the Worldpriest website www.worldpriest.com you can receive a daily suggestion to guide you in prayer for a priest. A meditative picture will also aid your prayer as you commit to being a daily priest prayer friend. 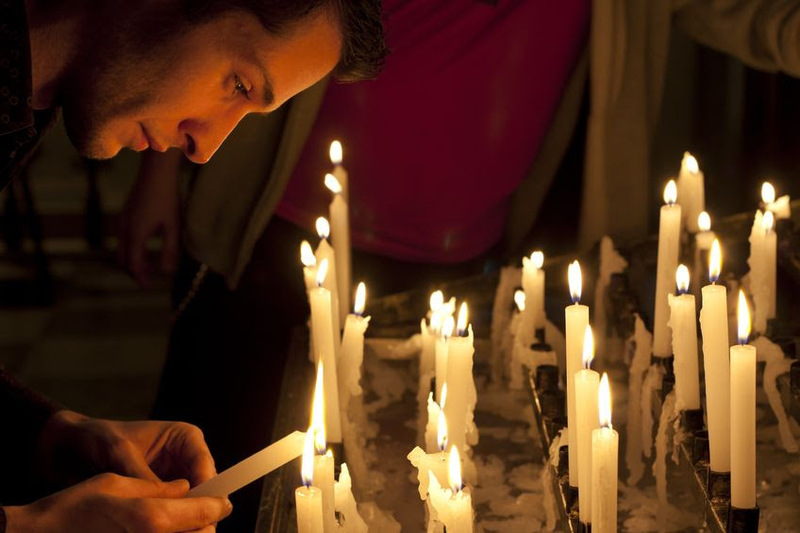 These prayer reflections have proved to be very popular prayer guides since they went on line some weeks ago, reaching thousands of people, especially through social media and online as the word spreads of the gift of this new Worldpriest content section, which reaches out to care and support our priests. Let’s work together to make 2018 even greater for the Annual Global Rosary Relay for Priests! We now reach out and ask all participants to use every opportunity at their designated locations around the world to spread the good news of the Annual Global Rosary Relay for the Sanctification of Priests for 2018. By utilising social media, live streaming and national television broadcasts, along with promotional posters, advertising material and newsletters all supplied by Worldpriest to support you in this unique global gathering of a world at prayer, this will allow 8 June 2018 to be a most memorable global and inspiring event for priests and laity alike – a time when we exceed the amazing ten million people who participated in the 2017 event!